WARNING: There are spoilers ahead for the season 7 premiere of Arrow! Ben Lewis appeared in several flash forward scenes of Arrow’s season premiere, before the final seconds of the episode revealed that he is playing Oliver Queen’s son, William “Will” Clayton. Deadline reports that Lewis will be a series regular for the rest of the season, as William’s story continues to unfold. The flash forward dramatically changes the series’ established formula of present day storylines while a subplot played out in the flashbacks. 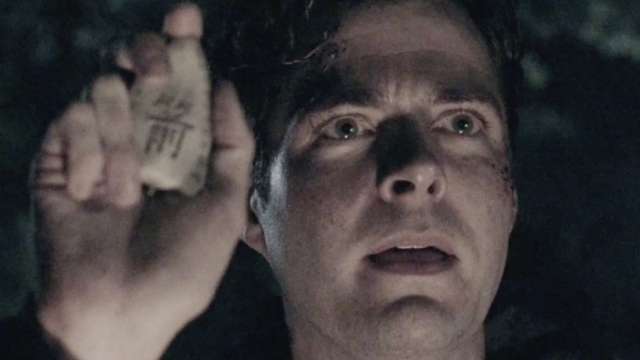 On the season premiere, “Inmate 4587,” introduced Lewis as a mysterious man who was looking for the island of Lian Yu. This is the island where Oliver was stranded on and off for five years. During that time he learned the skills which transformed him into the Green Arrow. William’s quest led him to Oliver’s former protege and partner, Arsenal/Roy Harper (Colton Haynes). Viewers were stunned to witness this meeting 20 years in the future of the Arrowverse. This shocking finale also created great confusion among fans. What is William’s end goal? Will Roy help or hinder the cause? Most of all, what happened to Oliver Queen? The Arrowverse has established that alternate worlds and timelines. The possibilities that William brings to the show may set up an exciting and unpredictable seventh season. In DC’s comic book universe, Oliver Queen’s son was named Connor Hawke, and he went on to become Green Arrow after his father “died.” The Arrowverse introduced its version of Connor Hawke in DC’s Legends of Tomorrow. But in this universe, Connor was the son of Green Arrow partner, John Diggle. What do you think Arrow‘s new flash forwards? How do you think William’s story will turn out this season? Let us know in the comment section below.